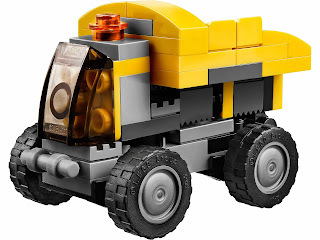 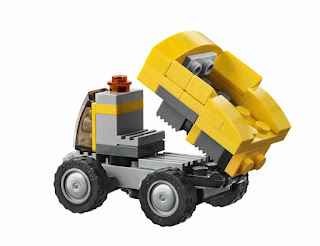 can be built into a power digger, a dump truck and a front loader. 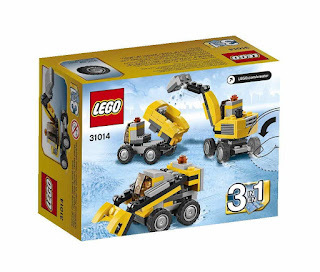 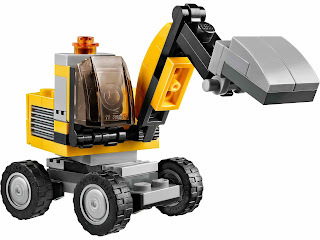 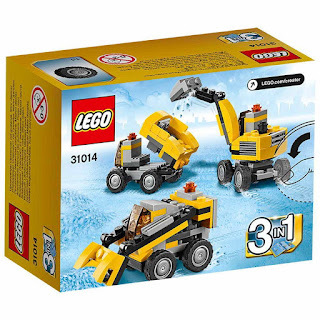 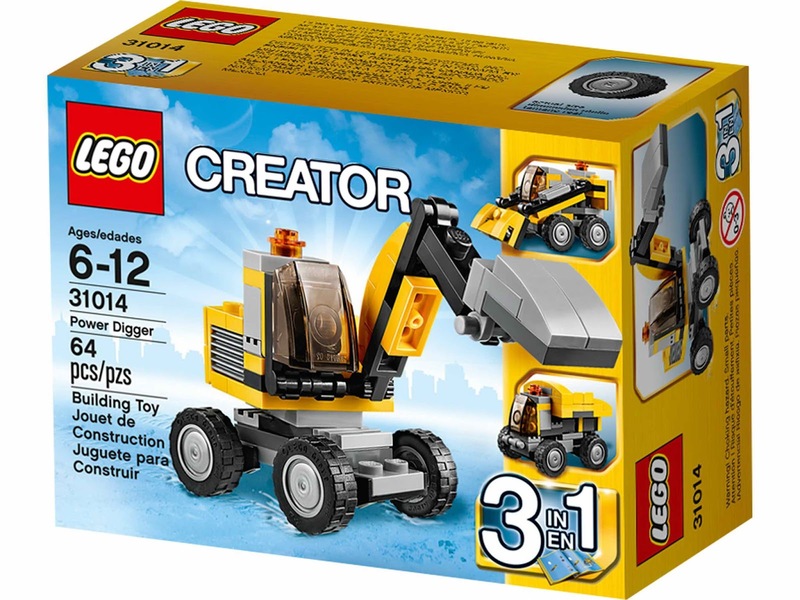 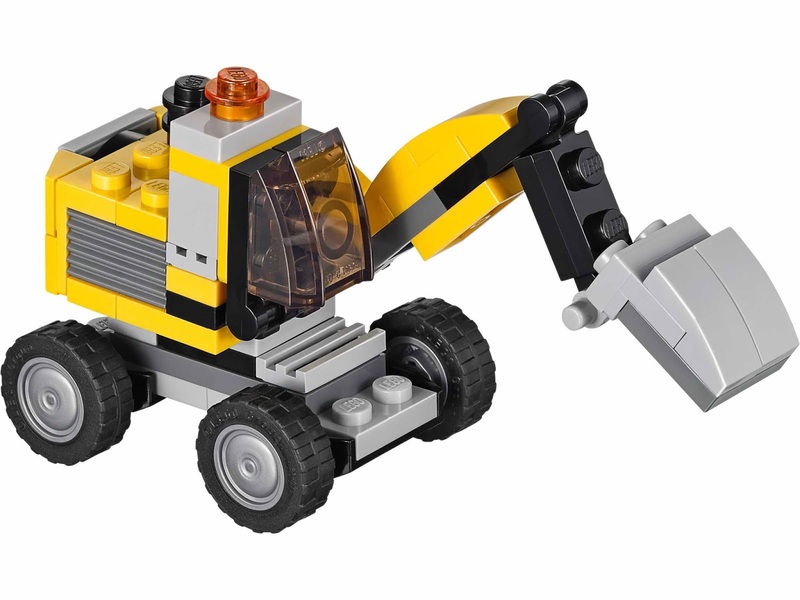 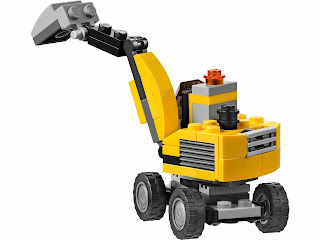 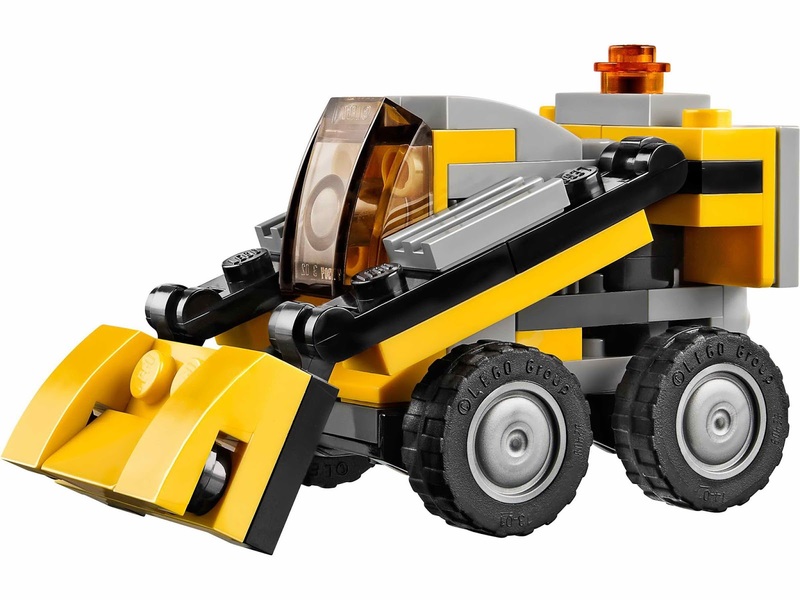 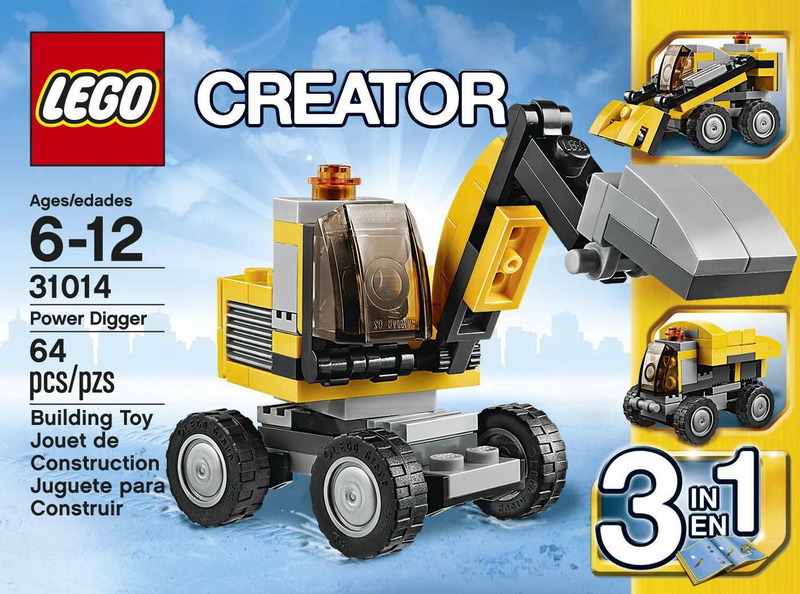 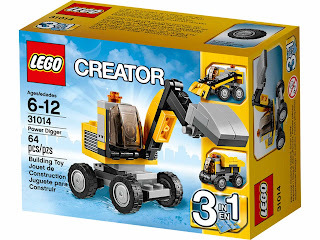 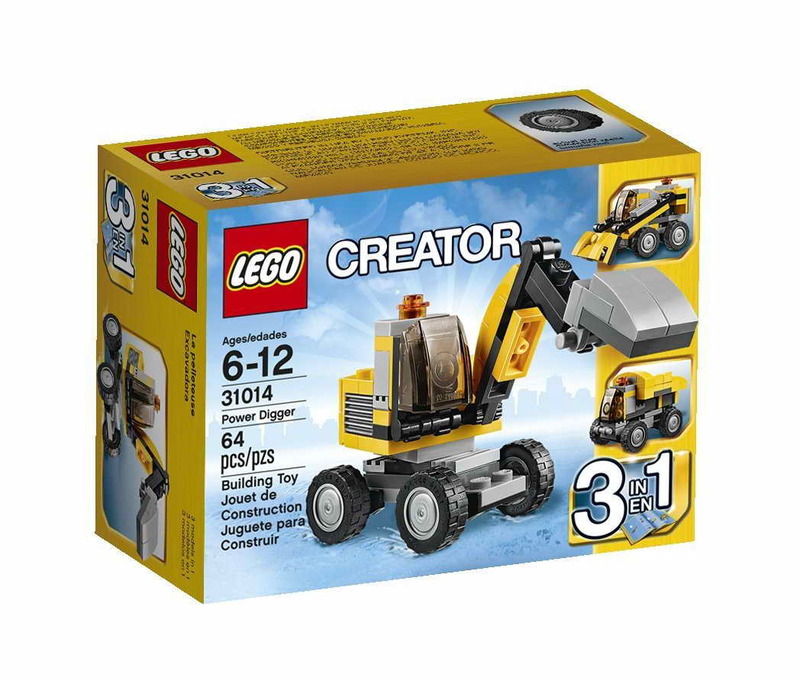 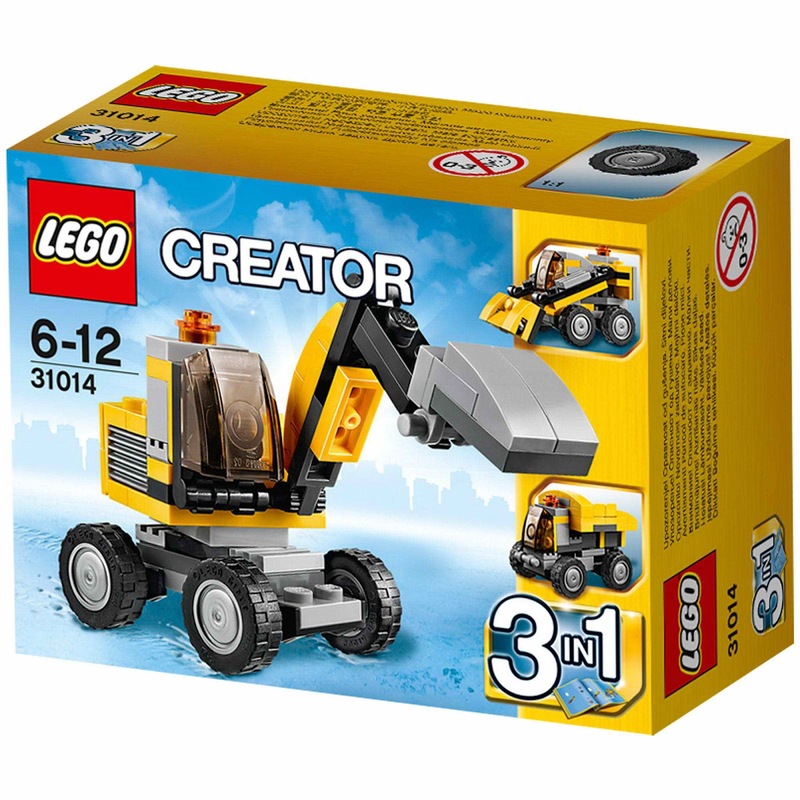 the digger has a workable flexible crane arm, s rotatable vehicle body, a see through cab window, big tires, a warning light on the roof of the cab and an openable engine section. 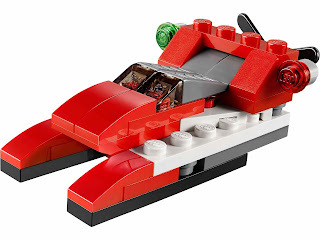 can be built into a transport helicopter, a biplane and a racing boat. 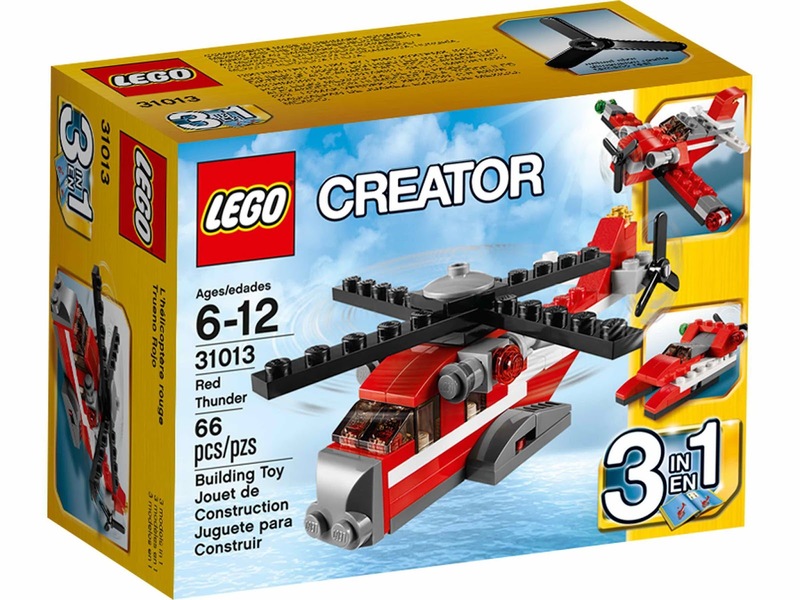 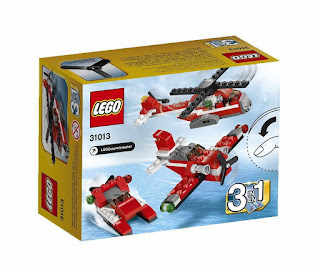 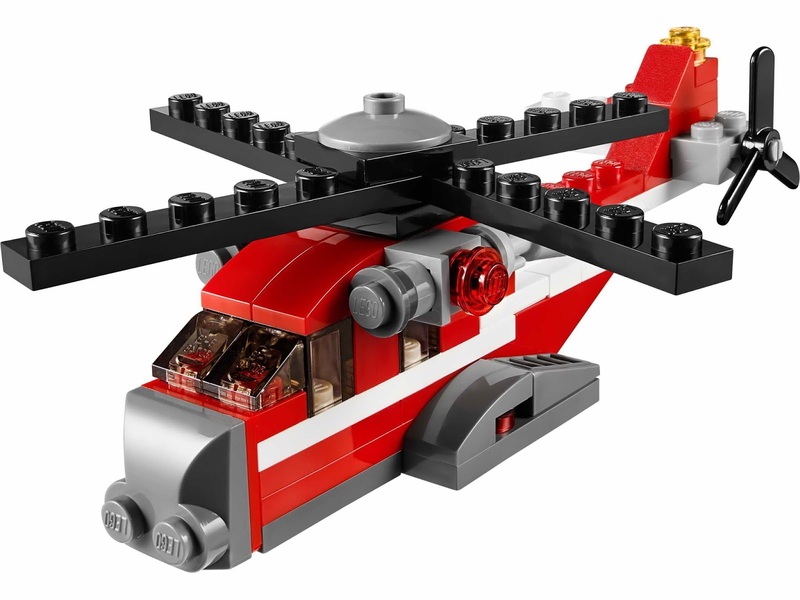 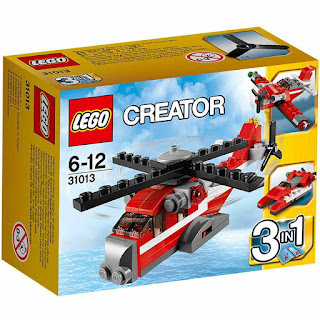 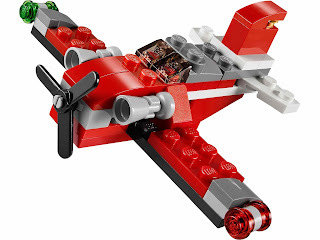 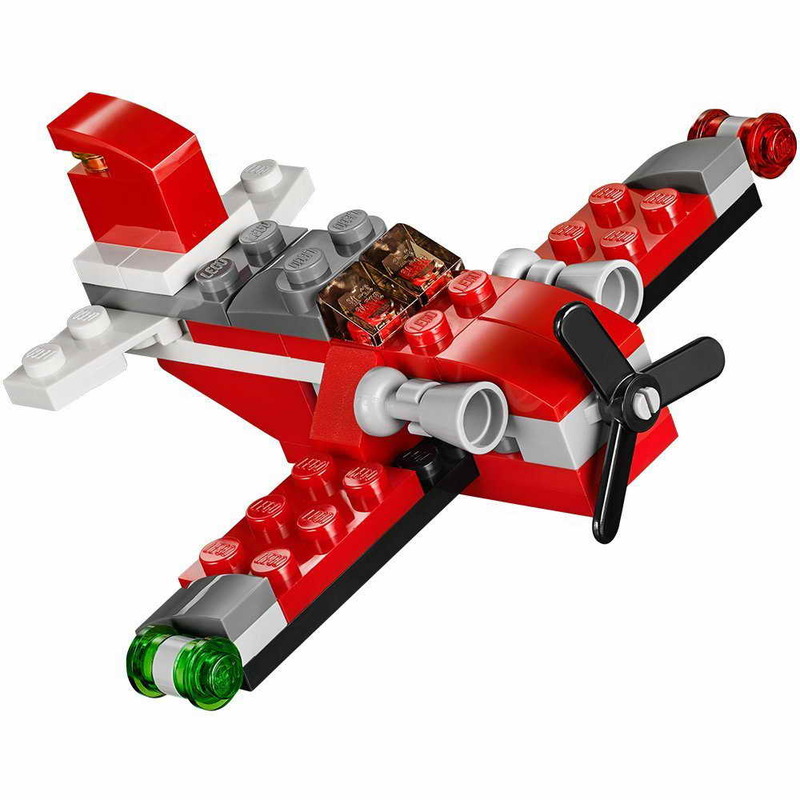 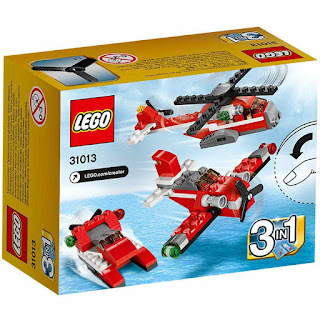 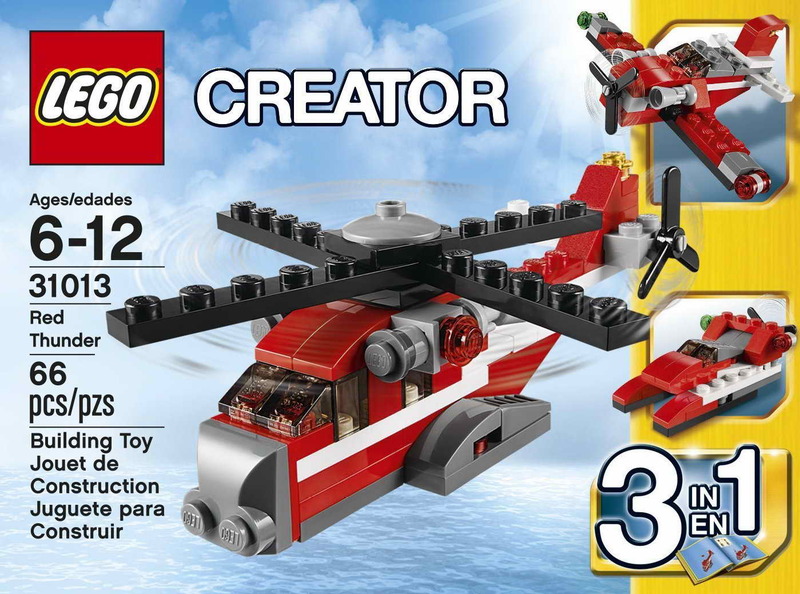 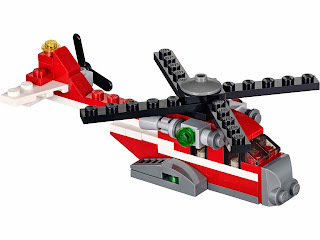 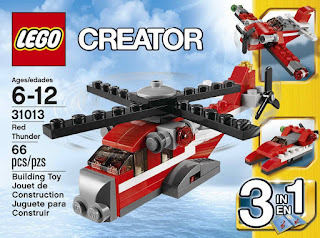 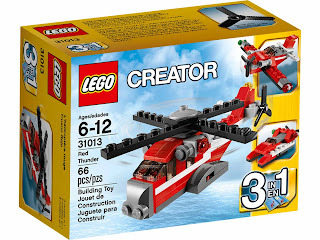 the helicopter has a turnable main and tail rotors and an engine detail.